Spring has sprung, which means it’s time for some tropical juice bombs. This week I won’t even attempt to hide my prejudices, or my excellent tastes. You’ve got some serious Hop Haze coming at you right here. If you aren’t ready for this Hoppy Hazificationization, turn back now. Go back and read some of my more well-rounded and inclusive posts or some from the archives. Be warned, this post is unabashedly biased and I’m okay with that. If you aren’t a Hop Head, you may not appreciate this post or maybe it will turn you into one! If you are a Hop Head and you are ready for this Spring Hop Hazificationization, then buckle up. Here, we’ve got a couple beers that only occasionally come around; we’ve got one that has been forgotten about, but still blows most beers out of the water; and we’ve got one that is currently living it’s second life. 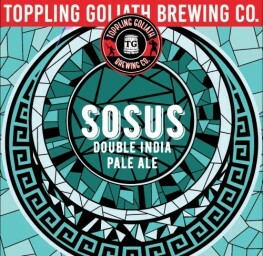 This is easily one of the most overlooked offering from good old Toppling Goliath, probably because it doesn’t have a huge angry T-Rex on the label. All I can hope is that a little love from the Brew Blog can help boost its popularity. This puppy is double Pompeii. To non-Toppling supporters, that means that this is a double IPA that exclusively showcases the Mosaic hop. By draping this beloved hop over a simplistic malt canvas, the consumer is allowed to experience the irresistible flavors of pineapple, tropical fruit, and grapefruit for which the Mosaic hop is most well-known. This unfiltered juice bomb is best enjoyed out of a glass, on the deck, in the sunshine. How this beer became forgotten about after it became mainstream, I will never know. I remember a couple years ago when Lupulin first started their distro: you’d be able to buy a 4 pack from a liquor store literally hours after it was canned… Nowadays, that isn’t the reality. Both Blissful and Hooey tend to sit around in coolers for a month or two. Such an injustice to this boozy juice. This NEDIPA is loaded with waves of some of the juiciest hops available: Citra, Mosaic and Columbus blend together to make this hop juice. Intentionally left hazy with yeast in suspension to create a soft mouthfeel and enhance the flavor of this wonderfully hoppy beer, the dudes at Lupulin sure know how to see through the haze and brew some haze. When I first heard about this beer, I thought the name was a bit pretentious. Then I tried the beer starting with the first batch, of course, and because I went into the first sip with my preconceived notions I wasn’t blown away. Turned out it was a little green, meaning that it was a bit fresh, it hadn’t settled into itself enough, and it had a bit too big of a hop bite on the end. However, I tried it again in a week and it was money. As each batch has gotten better the newest batch becomes superior to the previous releases. Citra, Mosaic, and Amarillo hops give this Double juice bomb huge tropical aromas which give way to huge tropical flavors that explode in the palate. Everything from orange to papaya to soft peach rind, this beer has it all. As a bonus, it isn’t one of the super exclusive, snobby beers that I frequently choose to write about. Happy Birthday BlackStack! Officially two years old and officially skyrocketing out of infancy, BlackStack keeps rolling out killer brews. Literally, killer. Murderous. 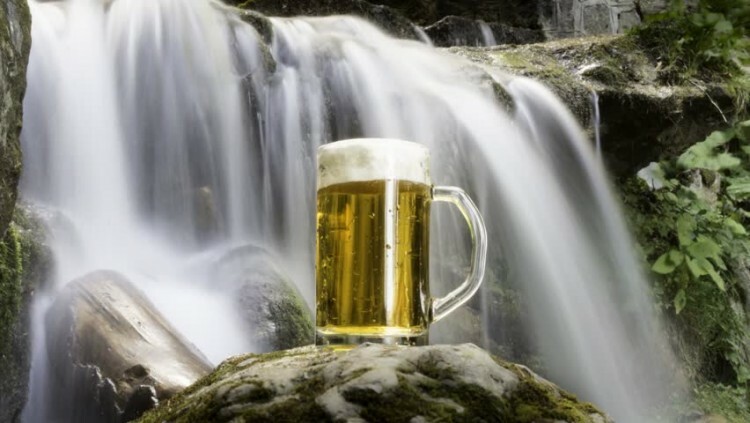 Brews that are so good, so coveted, and so fleeting that there are people who have had to resort to life in prison just to get their hands on some. Okay, I’m clearly kidding about that, but BlackStack’s one-offs have customers calling liquor stores as soon as they send their delivery truck out. 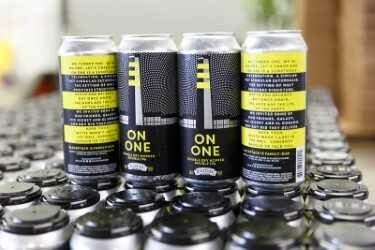 On One was the beer that was brewed when BlackStack turned one. This year, in addition to coming out with a killer DDH NETIPA called 2 On, they tweaked On One by adding a gargantuan double dose of dry hopping, which gives this annual release a majorly soft, majorly smooth mouthfeel. If it’s possible to put a pineapple smoothie at 8.5% ABV, this is it. Be sure to snag some while ya can! I promise, if it isn’t already gone, it will be by the end of the weekend.